I recently watched a panel titled Librarians Collaborating to Produce Systematic Reviews, which was delivered as a webcast and hosted by the Medical Library Association (MLA). It was an informative webcast. There was quite a bit to learn about conducting systematic reviews and it was interesting to hear how librarians are working on these types of projects. In fact, watching the panel discuss this topic reminded me of the kind of rational, rigorous approach to the practice of librarianship that prompted the early scholars in this field to call it library science. With the webcast and related issues in mind, I later saw a post on Google Plus by Peter Suber, who shared a link to, and seemingly endorsed the arguments in an article hosted on Medium.com about the need to "modernize citation practices." One of the arguments presented in the article, the one I think Dr. Suber endorsed, contends that in every instance possible authors should reference research available as open access (OA) instead of research that exists behind a paywall or is "buried away in some library." It is, as Dr. Suber noted, an interesting argument. It is also, I might add, a little scary, and what I'm concerned with is that it signifies a turning point in the arguments among those who strongly advocate for open access (I've seen glimmers of this attitude about referencing only OA material elsewhere). That is, for most of the OA movement the argument has been largely about the moral and practical good in publishing one's research in an open access journal (gold OA) or making it available in an open access repository (green OA). The above argument, however, speaks to a different supposed good --- only using research that is OA; and hence the apparent turning point is one that involves making every effort to produce OA material to one that now adds making every effort only to consume OA material. Since the set of all openly accessible scientific research is still only a portion of the set of all scientific research, it might be nice to have a discussion about what it would mean to consume OA material intentionally and singularly. For example, while I have never met the librarians who discussed the details involved in conducting systematic reviews, my guess would be, given the purpose of systematically and thoroughly reviewing the literature using the methods they described, that these librarians would think it negligent to ignore any research that is relevant and pertinent to the study at hand if that research only exists behind a paywall or is "buried away" someplace in the stacks. Fortunately, my understanding is that most scholars and scientists would feel this way, and I was recently reminded of the scope of this sentiment when a student at my school was describing her interlibrary loan work as an intern at the National Library of Medicine, which processes around 250,000 document delivery requests "for articles, books, audiovisuals and microfilm material" annually. In the end, it might be morally praiseworthy, as well as good science, to place one's research in an accessible channel so it is available to as many as possible without any direct cost to end users, but the same criteria does not necessarily transfer to how we use research. In this aspect, I would emphasize that it is a duty for researchers, as it is for librarians, to locate and use the best information that exists, even if this means having to use a library's service or visit the stacks. Rather, the search and retrieval of good information might best be served by the same kind of activity that P. W. Bridgman described in 1955, that Gerald Holton picked up on in 1994, and that Susan Haack continued in 2003/07 about the scientific method --- that "it is nothing more than doing one's damnedest [...], no holds barred" (Bridgman, p. 534; Holton, p. 78; Haack, p. 24). Part 1, ORCID: Connecting Research and Researchers is available here. When I first heard about ORCID I realised the potential benefits and thought I should support the cause. ORCID had started an “ambassador program”, an activity that encourages interested people to promote ORCID on behalf of the organisation. I contacted ORCID and quickly became an “Ambassador” at UCD. ORCID provides PowerPoint slides for presentations, poster templates and even some promotional material such as flyers and bookmarks etc. They are also very helpful when questions arise and very happy to hear any feedback or input. ORCID also facilitates the exchange of ideas between ambassadors through a Basecamp community. At the moment there are only two ORCID ambassadors based in Ireland, myself and John Howard, our Head Librarian (John promotes ORCID on a national level). It would be great if colleagues in other institutions would join the ambassador team as a result of my recent LIR presentation or this blog post . Wearing my ambassador hat I started promoting ORCID at UCD. One of the first steps was to let my fellow librarians at UCD Library know about the identifier (you may have noticed that I excluded UCD Library staff from the poll at the beginning of my LIR presentation). Literally every presentation I give to researchers or research administration staff in our Schools and Institutes has a few ORCID slides included, and sometime I give talks exclusively about ORCID. Whenever there is an opportunity, I try to highlight the identifier, be it in a School meeting or in a conversation with an individual researcher or research administrator. Constant dripping wears the stone. And this constant dripping is needed because researchers are very short on time (who isn’t these days?) and quite reluctant to sign up for something they might not see an immediate effect from right away. Furthermore, most researchers are already active on platforms like Academia.edu or ResearchGate and view ORCID as just another such service. Sometimes a bit of convincing is required. Together with our Outreach team we ran a promotional campaign in March. We used all channels at our disposal to raise awareness of ORCID within the UCD researcher community: targeted emails, social media, flyers, posters, messages on the library website, plasma screens – you name it. I even created a new ORCID LibGuide for our users. The results, unfortunately, were not overwhelming. We doubled the number of ORCID IDs at UCD, but about 500 researchers out of about 1,500 (not counting PhDs and Research Masters) – that leaves room for improvement. The number of ORCID ID holders at UCD could be higher however, because registration does not specifically require an institutional email address, and for privacy reasons only the email extension can be used to count affiliations. As mentioned before, other universities have embedded ORCID into their identifier systems. 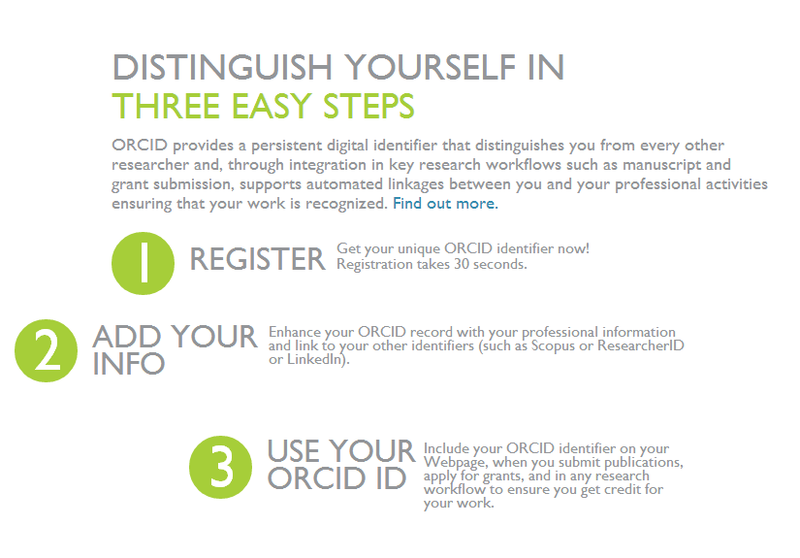 By becoming an ORCID member an institution can create ORCID IDs for all their researchers at once. UCD doesn’t have any specific plans to do so at the moment, but our Research Office is “observing” the spread of ORCID and our University IT Services are looking at the technical side. Obviously, embedding an ORCID ID could have benefits for institutions as well, e.g. publication or funding records can be pulled into the Research Management System or the Repository, reducing duplication and re-entry of data. Whilst more and more researchers are now registering with ORCID, I assume the real breakthrough will come when they are encouraged (or even forced) to provide ORCID IDs as part of the funding application or manuscript submission process. As mentioned before, this is already the case with some funders and publishers, but it doesn’t cover all disciplines or countries yet. One of the major funders in Ireland is currently working on ORCID implementation. Once they are on board it will be easier to convince researchers. If my post made you a bit curious and you want to know more about ORCID let me know. I’m happy to provide more information. Or contact the folks at ORCID.org directly (@ORCID_Org on Twitter). Or just keep your eyes open – ORCID will certainly cross your path someday. My ORCID presentation from the LIR seminar can be found on Slideshare, but if you search for “ORCID” you will find many more presentations with further information. The Keynote speaker was Liz McGettigan Director of Digital Library Experiences Solus and her talk was titled Reinventing the Street Corner University: the Infinite Possibilities for Libraries & Librarians. As the title would suggest Liz made a strong case as to why libraries are in an ideal position to forge themselves a role as the Streetcorner University for the wider public. Public libraries are in a great position to rebrand themselves as the Streetcorner Universities of the digital age and to become real catalysts for change. This University of the street corner will foster digital skills, it will improve access to digital technology and will nurture digital skills in the community. Liz also looked at the issue of public image and the perception of libraries - this seems to be a common concern at library conferences nowadays. The first Plenary Session was Maya Hanley a marketing and media advisor and her paper was titled Make the most of Social Media. Maya points out that libraries are in a unique position in relation to social media - we have almost limitless amounts of information that people will find useful and if we utilise social media effectively we can increase our reach, our audience and our influence. Libraries should be using many social media tools including at least Twitter, Blogs, Facebook, and Instagram to show what we do and what we hold to the wider non librarian world. Using social media effectively can increase access to our holdings. A few tools she mentioned to help us be more strategic in our social media use were Social Media Examiner, Hootsuite, Bloglovin, & Allfacebook,. Using these should tools make your libraries social media strategy more effective. The second Plenary session was hosted by Billy Dixon. Billy is what is called a Resilience coach and his paper was titled Streetwise Resilience. The aim of this presentation was to provide people with the tools and means to manage stress. Stress in the workplace is something that cannot be eliminated particularly in times such as we experience now - economic downturns. But what we can do is minimise the impact it has on us. This was very much a personal talk based on his own life experiences. The big thing for him is not positive thinking - he is not a big fan of positive thinking - but positive attitude. Taking positive action is the way to combat stress. It is the doing that helps foster resilience - not the thinking. Positive actions and attitudes can help to rewire the brain. As do the opposite. This was a very informative and entertaining session - a good mix. The afternoon sessions were breakout sessions and for me the decision on which workshops to choose was a tough one - much of what I personally wanted to see over the two days was contained here. The first session I chose was by Michelle Dalton College Liaison Librarian UCD and Helen Fallon Deputy Librarian NUIM and their paper was titled Professional Writing & Blogging. Michelle's talk very much did what it said on the tin - she breezily ran through the 7 Habits of Highly Effective Bloggers offering good straightforward advice to non, novice & experienced bloggers. I summarise here (1) Start now (2) Keep going (3) Write for yourself (4) Engage (5) Share (6) Experiment (7) Find inspiration everywhere. Helen's paper explained the role that her blog Academic Writing Librarian can play in supporting library staff who wish to write for academic publication. It contains Tips from journal editors, tips from published authors and Academic writing resources. Any librarian wishing to write for academic publication who isn't sure where to start couldn't do much better than starting with Helen's blog. The second session was hosted by Martin Bradley Archives and Records Management Consultant. He gave a workshop on Scoping & Implementing a Digitization Project: Capture, Storage, Display and copyright. The third session was a closed session by the LAI County and City Libraries Section. The second workshop I attended was by Maya Hanley and was titled Blogging for libraries. This was a follow on from her morning plenary session and was very well received by the rather small crowd who had remained - very difficult to do the graveyard shift at any conference I would think. She went into more detail on how to set up a blog, she discussed the merits of Blogger versus Wordpress - Blogger wins out for her. And of most benefit she answered specific questions that the audience had about blogging. This I felt was the most useful part of this workshop. Billy Dixon gave a workshop on Dealing with Adversity: Resilience in action and North-South Exchange gave a talk on Innovations in Library & Information Services. From the quick chats I had with other delegates, and from the tweets I saw coming from the other sessions, the four afternoon workshops I didn't attend seemed to be very well received. If you would like to see a record of the event there were a number of people live tweeting the event over the two days. For full access check out the hashtags #laicilip14 or #laicilip2014. The full presentations should soon be up on the LAI Site but in the meantime the full programme and abstracts can be found here. Below is a set of interesting and free webinars taking place this month. Topics include deciphering social media analytics, the application of universal learning design in the library, Windows 8.1, technological change in delivering reference services and managing your library’s web presence. Learn how social media analytics can help you achieve a 360-degree customer view by transforming “Big Data” from millions of online sources into valuable insights. Go beyond just listening to uncover patterns and trends in attitudes and sentiment from particular segments, identify relationships and affinities associated with your product or brand, and discover evolving topics that can open the doors to new market opportunities. Libraries generally avoid a one-size-fits-all customer service philosophy because library users have diverse needs and interests. However, anticipating and responding to special needs can yield a patchwork or panicked approach. The concepts of Universal Design (UD) and Universal Design for Learning (UDL) have application in the public library setting. Using the UDL research-based framework, examine how a range of library users might engage and access library spaces and services. Learn how to think about what makes your library truly welcoming to all people, beyond an automatic door opener. This webinar can benefit all public library and library system staff, especially those who work with special populations. Note - Internet Explorer is the preferred browser for this platform (Java required). No registration is required for this webinar. Discover what is new with the latest release of Windows and how it will help you in everyday business tasks, wherever and whenever you need it. The consistent and new interface for your PC, phone and tablet computing and the new tools and applications that will enable you to get things done will be demonstrated. The latest version of Microsoft’s Internet Explorer, cloud connectivity, and built-in apps working together will be some of the tips shared. Is traffic at your reference desk disappearing? How do you reach out to the users who make use of your library’s power and Internet access – but not your human resources? How can your library support flipped learning without going getting sucked down a MOOC-shaped black hole? Can librarians maintain their brand as information experts in the age of pervasive connectedness? Portable Internet devices and persistent access to online resources is changing the way people learn. With that come significant shifts to the way people use library spaces and services. Rather than fearing this disruption, libraries should lean into the change. Through mobile library services, flipped and co-learning experiences, and virtual reference tools, libraries can continue to demonstrate the importance of reference skills. Are you happy with the content on your web site? Is there a consistent voice and message across the whole site? Is all of your site's content accurate and up-to-date? Is it clear who is in charge of which content, and how often new content should be posted? Do staff responsible for creating content have the skills, time, and support they require to do so successfully? Is there a clear process for vetting new kinds of content? If you answered “No” to any of these questions, never fear: content strategy to the rescue! This webinar will help attendees develop their own content strategy for creating and managing content of all types across a typical library web site. Improve the overall web experience for your customers and make life easier for staff! Delete ‘Business School’ from the title of this book and you have what is essentially an invaluable toolkit for 21 century librarianship. The book explores contemporaneous issues of relevance to any library such as the challenges of measuring library impact and return on investment; embracing new media and technology; the increasing role of the Library’s information resources in the career development of its user; the expansion of open access scholarship; adapting library design and more. The old perennials are also in there: outdated perceptions of librarianship; communication disconnects between the wider college environment and library personnel as well as the challenge of librarians getting their message across regarding their value. Published in 2014, the book is edited by Tim Wales the Head Librarian of the London Business School. The book contains contributions from library world (let alone business library world) glitterati including Chris Clegg, Bodelian Business Librarian at Oxford University; Kathleen Long Library Director for the Stanford Graduate School of Business and Andy Priestner, Library Services Manager at Cambridge University’s Judge Business School in the UK. The book has an international feel however with contributions from Deb Wallace, Executive Director, Knowledge and Library Services at Harvard Business School, DR H. Anil Kumar, Librarian of the Indian Management Institute and Lai Fong Li, Head of Information, Research and Instructional Services (IRIS) at the Chinese University of Hong Kong. Although the book touches on issues of specific relevance to business information libraries what in fact emerges is the universality of the issues that contributors explore with library managers in all subject disciplines. What is to be commended about this book however is that its content has clearly grown from an international professional connectivity and dialogue amongst library professionals within this discipline that suggests that the future of business librarianship is in safe hands. If this model of communication and scholarly output was emulated by librarians in all subject disciplines what a force we would be! The book is an impressive showcase of how librarians in this discipline are keeping abreast of and in some case driving changes within the wider library profession. The book uses a mixture of survey tools (with library users and library managers); research literature and anecdotes to share examples of best practice which creates within the book informed and practical guidelines for modern library practice. This book should sit on the desk of any modern library manager worth their salt and it should be well thumbed. Particularly serious messages that I took from this book are that library impact metrics are essential in terms of securing the future of libraries. Similarly we should not as a profession be complacent about survey findings discussed in this book and elsewhere in which librarianship is seen as an irrelevancy in the Google age and in terms of changing models of information provision (vendor direct to library user). Sensible strategies advocating the alignment of the library’s strategic plan to the institutional and research strategy of organisations; of flexible library spaces and of embedding library services within research services and academic programmes are definite takeaways. Despite the erudite nature of the book, its greatest advantage and charm lies in the anecdotal nature of some of the contributions from experienced and pragmatic library managers. Andy Priestner a fan of ‘pre-emptive action’ gets his message out about the value of what he and his team do at Cambridge University through short well-structured annual reports, brief informative emails and even ‘elevator pitches’ with key faculty staff. Such his enthusiasm for what he does, that he was told at one point by his manager to ‘tone it down’. Priestner advocates that we resolutely ignore this advice as ‘I just do not think that we as librarians can afford to do this.’ Wise words, from Priestner and perhaps the most compelling message of the book. I for one am in Priestner’s camp. 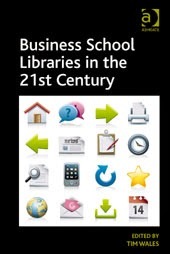 Business School Libraries in the 21st Century is published by Ashgate, Feb 2014. This year's joint LAI/CILIP Conference title Seizing Opportunities, Leading Change took place in Waterford. I attended both days. This is my subjective report back from the Thursday. A report on the Friday sessions can be found here. The Official Opening was by Waterford City & County Manager Michael Walsh. It was good to hear a city manager say that public officials must not see libraries just as another overhead. He pointed out that libraries are more important than ever to communities and people and it is essential that they be funded. Libraries are a key site of cultural interface. The Keynote speaker was Peter Doyle, a consultant in Strategy Marketing & Change and lecturer at NUI Maynooth. Peter's paper was Lessons in Strategic Change Management and dealt with the issue of managing change in our organisations. It was an entertaining paper told through the use of many fable like stories, and many aphorisms that amused the audience whilst getting a serious message across. The overall message is the stark one that change happens and we need to accept that fact but we can affect how the change will happen. He offered advice on how to handle change from the managers and the employees perspective, He looked at how change is perceived by the people it impacts. He offered advice to managers on how to manage change in their organisation - much of this advice seemed to call on the work of a diverse range of thinkers. An author he explicitly referenced was Spenser Johnson and his well known book Who Moved my Cheese. Other authors he touched on included Malcolm Gladwell, Richard H Thaler & Cass R Sunstein and the work of Dave Logan. Fionnuala Hanrahan, Wexford County Librarian was next up with her paper Fortune Favours the Brave: Challenges within 'Opportunities for All', the national strategy for public libraries, 2013 - 2017. In this paper she looked at what the new strategic plan means for public libraries. This was an interesting paper and much of it was new to me as I, working in an academic library, have not read this document. It was an impassioned overview of where this document will take public libraries in the next number of years. We need to take a look at our sacred cows. And get rid of them. Change is coming. We need to accept this. And we need to direct this change. And very importantly libraries seriously need to start thinking about succession planning and leadership training for existing staff. The next speaker was Rebecca Davies Pro Vice-Chancellor, Aberystwyth University and her paper was titled Competent and Confident! Entrepreneurial approaches for personal development She examined what she calls an entrepreneurial approach to developing our competencies so we can thrive in what is a very fast and dramatically changing library world. Change was a big aspect of this paper - as Rebecca said, we live in an 'era of edgeless sprawl'. (Bradwell. 2009) We are now dealing with changing users; they have expectations rather than gratitude. As individuals and as a profession we need to be taking risks, and trying new ventures and new things. This trying new things is what Rebecca means by the Entrepreneurial Approach. We need to share our experiences with colleagues and our networks - physical and real. We also need to borrow from other professions. Get outside our comfort zone. As librarians we need to be making a difference and more importantly to be seen to be making a difference. The afternoon was composed of break out sessions. The first session I attended was Rebecca Davies Library & Information competencies further explored. This session was very much a follow on from her morning session and looked at what competencies were required of the librarian of today. She began by asking us a question - what have each of us done in our work that we would see as outside our job description? The replies ranged from singing Twinkle Twinkle Little Star whilst wearing a sock puppet to cleaning out a house used by heroin addicts. We do so much stuff that non librarians would be surprised at. We should use social media to promote what we do - Twitter, Facebook, Pinterest Blogs, YouTube etc. We need to promote everything that we do. She also asked: if we were starting a Library module from scratch what topics or subjects would we include? Answers included: crisis management, budgeting, demographics, counselling, psychology, reflective practice, event management, presentation skills, metrics, health & safety, politics, law, marketing, career guidance. Our competencies in the library of today range very far, and very wide. The second workshop I attended was hosted by Alison McKenzie, Dean of Learning of Services Edge Hill University and her workshop was The Changing Role of librarians: Is this what the future looks like? In this session she looked at the impact that the digital environment is having on content, services and staff. This presentation presented some interesting case studies from her co-authored work Mastering Digital Librarianship a book that looks worth checking out for all librarians. The full presentations should be up soon on the LAI Site but in the meantime the full programme and abstracts can be found here. A new research report on teaching and learning in Higher Education in Ireland captures some of the key challenges, threats and opportunities in the sector at the moment. As research output and assessment has been pushed under the microscope in recent years, it's a refreshing change to see teaching and learning being discussed at a national level. The report is well worth a read for anyone interested in the area, and I have flagged a few aspects that caught my attention below. Firstly, it is nice to see libraries and other support functions get a mention (albeit a brief one). "[The] ‘software’ of higher education comprises a wide range of people with specialist expertise: librarians, student support services, technicians, administrators, registries, estates, human resources, finance, information systems, research offices and strategic planners to name but a few. All have roles to play in supporting student learning". Whilst the nexus between teacher and student will always be at the core of teaching and learning, I think the visibility of the role that libraries can also play has certainly increased in recent years, particularly where support has been embedded. However, there is undoubtedly still a lot of untapped potential in this respect. Table 9 ranks the professional development priorities and interests of academics and I would imagine many would also be top of the agenda for teaching librarians, particularly those concerning technology. This congruence could potentially open up opportunities for librarians to partner with academic staff in mutual areas of interest such as elearning, assessment and student feedback. "Students in third level show on average a high degree of consumer-attitude. Development of self-initiative and independence in learning in second-level education seem not to be sufficiently supported". This is the kind of information that could potentially be used by school librarians to advocate for a sector that is heavily under-resourced at present. Chapter 6 presents responses to the question "How would you promote good teaching in higher education? ", and includes some interesting comments around formal teaching qualifications, teaching spaces, institutional recognition and teaching strategies such as PBL. The report is written by Maria Slowey and Ekaterina Kozina with Eloise Tan, and can be downloaded from the AISHE website. In this post I am going to present a short overview of the benefits, as I see them, of Twitter use to the Seminar or Conference experience from the perspective of the attendee, presenter and organisers. These benefits are ones that I personally derived from my experience of being a newbie Twitter user at this year's A&SL Conference. I found that being a Twitter user makes a conference a very different experience. This was my first conference since I've become an active, some would say hyper active, user of Twitter. The way I attended, the way I interacted, the way I participated were all very different to conferences I had attended prior to being on Twitter. The first benefit for me was that I felt I already 'knew' many of the participants attending the conference. I also 'knew' a number of the presenters. This is not a bad thing for somebody who works outside of the central Irish library hub, which like most things, due to Ireland's particular demographic makeup, revolves around Dublin. I found it comforting going into a conference centre already having a virtual relationship with other people attending the conference. I found it knocked away one layer of a conference - that getting to know you layer. That awkward bit where you go cold calling to introduce yourself to people you don't know. Most of the basics are already known from Twitter exchanges and discussions. To an extent the ground for an IRL relationship has been created in the virtual. This from a purely social and networking angle made the conference much more productive and enjoyable for me. My Tweeting the event created another huge benefit. I actually engaged on a deeper level with the conference and all the papers I saw over the two days. During the course of the event I was one of a group of people tweeting the papers. I had thought tweeting an event would mean I would not properly engage with what was being said. Whereas in fact I found the opposite to be the case. I found that listening and following the speaker whilst aware of the fact that I would be transmitting, via Twitter, their paper to people not actually at the event meant I became a better listener. As well as listening better I digested the paper and the meaning quicker and synopsised whilst doing so. Having to condense ideas into a 140 character tweet that gets the message across really exercises the mind. This made it a much more reflective conference attendance experience for me. Another benefit is that you can also follow what is happening at other sessions that you are not attending. At the A&SL there were parallel sessions and through following them at #asl2014 I was able to see what I was 'missing'. And a final benefit for the person attending is that there is a full record of the event on Twitter for when you wish to check back on it. This is a godsend for those of who have to write a report for our employers - often a condition of being getting approval to attend conferences. The main benefit for the presenter is that their work can reach a far wider audience than the room full of delegates actually at the event. For example McKendrick et al in their detailed study of Twitter use at a medical conference showed that 16 tweeters of the conference had a combined total of 12,609 followers. 12,609 people is a very large potential audience for a researchers ideas. The following paraphrase taken from Ernesto Priego's post shows how the presenters can use Twitter to extend their reach beyond the room. Twitter is the perfect social channel for conferences. It provides a real-time, public and searchable record of tweets about a conference that organizers, speakers and attendees can follow. Twitter even allows people who can’t attend in person to read along as conference events unfold. And Twitter gives conference planners an archive of participant comments, as well as measurable data they can report back to sponsors. Or if you would like a more figures / data type of article check out, again, the McKendrick et al paper for the way that the conference can reach a far larger virtual audience than most event's organisers could ever possibly hope for. So, the next conference / seminar or other event you go to - why not think of live tweeting from it? It does make the event more enjoyable, more interactive. You will probably engage better with the material. You will be providing an invaluable service to those unable to attend that particular event. You will be benefitting the presenter and organisers as you will be disseminating the papers and exposing the conference to a much larger audience who can themselves get involved in the discussion. If you have not live tweeted before and would like to do so why not check out these articles by Brian Croxall or Kelli Marshall for some useful guidelines.